Do not let the dog photos on the packaging deter you from trying these toys out with your cats. Cats are quite capable of using these puzzles only they do so in a different way. 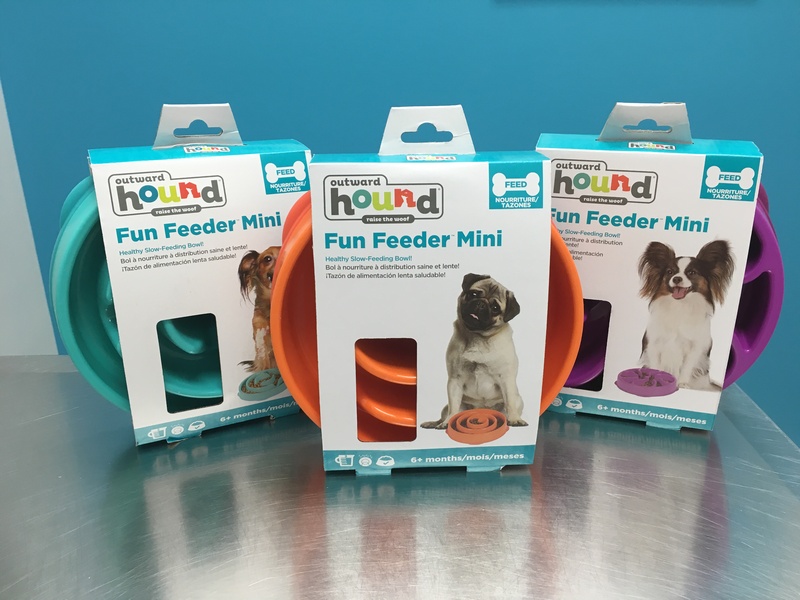 Dogs lick out these bowls with their tongues where cats scoop the food out with their paws. 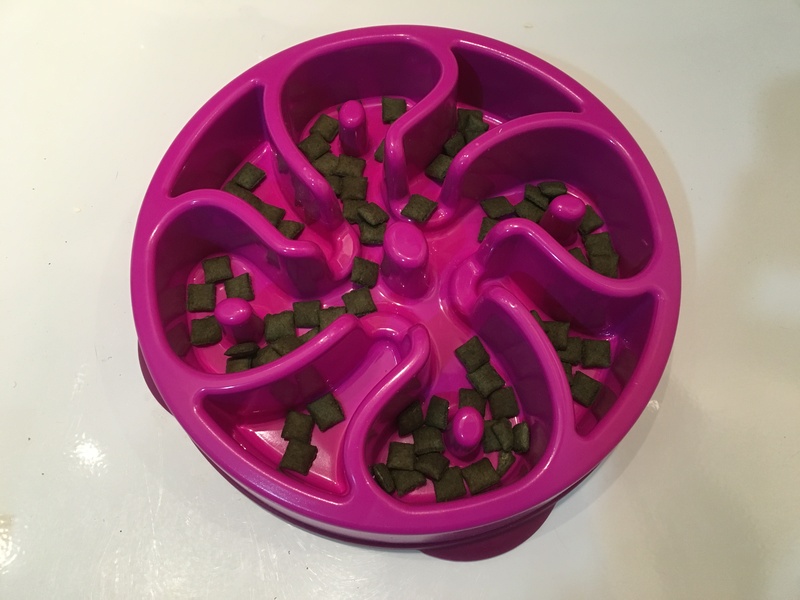 These objects are not too terribly difficult however, each different colored bowl provides a different maze/puzzle challenge. The interior portions of the maze are a bit more out of reach and increase the challenge for the cats.